Apple started notifying its Chinese iCloud users about the migration of the cloud services to the local soil that is announced earlier. But, things got a little bit interesting when it is found that some of the international users are also getting the migration notification. The iPhone maker has started the process to migrate its China-based iCloud accounts to the local server. However, some of the international account holders mentioned that they are also the part of the migration. 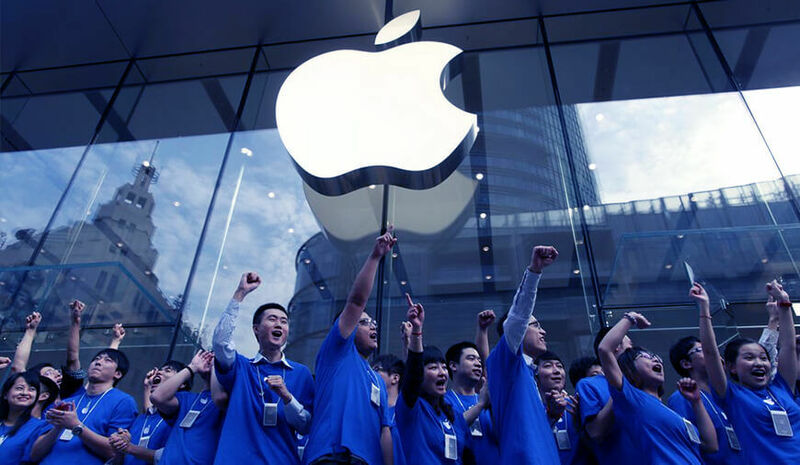 According to the agreement that Apple made with Guizhou, a Chinese internet company owned by the Government of Guizhou province, the local company will take care of the cloud service under the Chinese compliances. “This will allow us to improve the speed and reliability of our iCloud services products while also complying with newly passed regulations that cloud services be operated by Chinese companies,” Apple said. From February 28 the iCloud services in China will be operated by Apple’s local partner Guizhou-Cloud Big Data (GCBD). However, there is a number of overseas accounts found that is also being migrated to the china service. It is found that some of the migrated accounts were set up in the US or belongs to the App Store accounts based in the US. “The operation of iCloud services associated with Apple IDs that have China in their country or region setting will be subject to this transition. You will be notified of this transition via email and notifications on your devices. You don't need to take any further action and can keep using iCloud in China.” Apple mentioned on its help page. Under the migration process, Apple allows the user to either delete their data or keep it safe in the cloud. There is no option to transfer or share the data to anywhere else which is a bit concern for many users. The migration agreement puts new terms to the iCloud policies that give both Apple and GBCD access to the data. However, Apple commented that it will remain committed to the 'transparency' and user’s privacy in the migration operations. The company originally announced the migration last year after it opened a new data center in Guizhou from where all the China-based iCloud accounts will be managed. There is an opt-out for the non-Chinese cloud users to undo the migration effect. First, they need to switch back there region to the china in their iCloud account. Then, the users need to sign out the iCloud account from all the device and switch their phone’s and iCloud settings back to the US region. Now, when they sign in to the iCloud account they won't be part of the data migration anymore. However, this is not the first time Apple is being criticized for its move by making agreements with the Chinese governments. Back in July, the company banned all the VPN apps from its App Store on the orders of the Chinese government.